As many of you may already know, the galley on Base will be closing permanently on 31 March 2014. 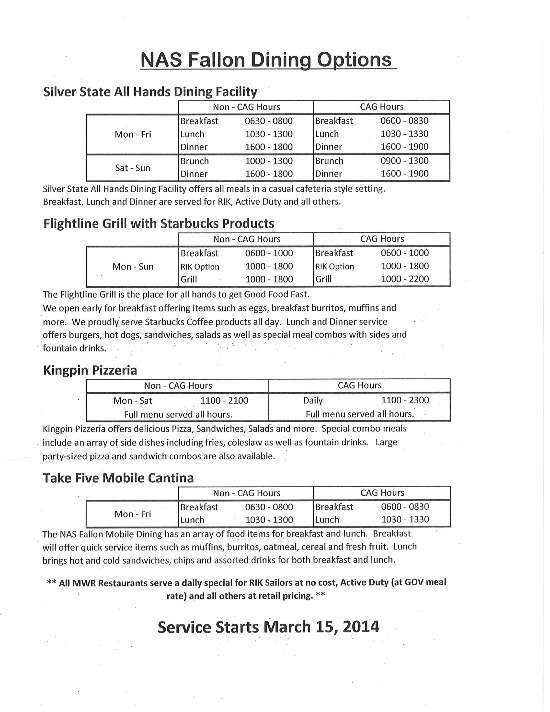 Beginning 15 March 2014 service will start at the 4 other dining facilities on base. This flyer has the details for hours of service for each location.